Staying true to their commitment to act as ‘Agents of Change’ in the local community, The Bell Agency selects a new nonprofit to benefit from their established Community Cause Program in Indiana. Happy Hollow Children’s Camp will receive the proceeds raised by the agency with the help of outstanding customers, business partners and staff to fund this year’s summer camp for disadvantaged and special needs children. The Camp has been proven to directly increase the children’s problem-solving and peer skills. The Bell Agency inaugurates a new campaign in its Community Cause Program and announces that will direct its efforts to raise funds for 7 children to be able to go to Happy Hollows Children’s Camp. The Camp has been helping both economically disadvantaged and special needs children for 65 years, and its year-round programs help children build confidence, teamwork, personal responsibility and problem-solving. To donate directly to the cause, visit http://www.happyhollowcamp.net/lend-a-hand/make-a-gift/. 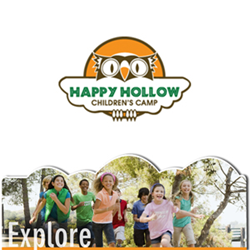 According to the agency’s principal, Ann Bell, the Camp’s mission is important for the families of the children that benefit enormously from being able to take part in the activities during their time at Happy Hollows. “The Camp has been proven to directly increase the children’s problem-solving and peer skills. In recent evaluations, parents of the children that have been to the Camp also saw an increase in their children’s self esteem and fitness levels,” Bell informs. Those with a heart for helping the community are encouraged to visit http://www.happyhollowcamp.net/lend-a-hand/make-a-gift/ and also share the page with friends and family. The agency will acknowledge those who contribute in their monthly magazine. The Community Program held by The Bell Agency will continue to highlight and support people in need in their community. A new campaign will be launched every 60 days in collaboration with local nonprofits. Individuals are encouraged to submit information on known families, persons or organizations that could use some help – http://thebellagencyinc.com/Add-Community-Cause_48. All entries are submitted for review, and the elected worthy causes are properly contacted by a representative of The Bell Agency’s Community Cause Program. More information regarding past and current campaigns supported by The Bell Agency can be found at http://thebellagencyinc.com/community-cause. As a locally owned, family-oriented insurance provider, the Bell Agency team knows exactly how to explain the intricacies of modern insurance policies in an easy to understand way. By placing the needs of the customer first, the Bell Agency offers affordable and effective insurance solutions to families and businesses throughout the Indianapolis area. When you leave the Bell Agency office, we want you to feel confident, informed, assured, and completely satisfied with your policy decisions. Our representatives are standing by to assist you over the phone at 317-865-9694.